I can clearly remember the very first HQ Holden I ever saw. It was one of the first HQ Holdens to be unveiled in Auckland, sometime in the early 1970s. I don’t recall the event, to be perfectly honest — it may have been the Easter Show or a car show of some description — but I can remember the car as if it were yesterday. It was a white HQ Kingswood with red interior. When I say red interior, I mean red interior. Literally everything — from the carpet to the dash, steering wheel, column shifter, bench seats, and headlining — was bright, bright red. The only things to have escaped the red paintbrush were the rubber on the pedals and the face of the speedometer. What a car! It was as if a spaceship had landed in the Auckland showgrounds as crowds of curious onlookers gathered around to see the latest and greatest in automotive wizardry from Aussie. The new HQ made the earlier HK, HT, and HG models look rather agricultural by comparison, and it was hailed as the most significant Holden since the FX. Holden’s new HQ model line-up included a sedan, station wagon, and coupé version, as well as the first Statesman, Sandman ute and panel van, and Holden’s first cab/chassis truck. The Holden HQ remained in production for three years, and featured ‘specials’ such as the Vacationer pack, the more performance-enhanced Holden SS, and a 25th Anniversary Premier in 1973. In 1971, rationalization played a key role in HQ production as manufacturing was scaled down, with Monaro coupés being built at Dandenong and Pagewood only. In 1972, General Motors Australia closed the Mosman Park plant, halting vehicle assembly in Western Australia. Panel-van manufacture at Pagewood commenced from April 1973 for just 12 months only, while Monaro production ended at Dandenong in November 1973, and the remaining passenger-vehicle manufacture was wound up in April 1974 at that plant. Following on from the HQ, the HJ–Z series saw further rationalization. Final utility assembly at Dandenong was in September 1976, while HZ assembly ended in December 1977. HZ production was wound up at Pagewood in October 1978 and at Acacia Ridge in the same month in 1979. Elizabeth continued on as the sole manufacturer and final assembler of the traditional Holden until the end in March 1980. As a teenager, I gained first-hand experience of just how robust these cars were. Friends of my parents owned a farm, and I would cycle from Howick to Mangere on weekends and holidays to earn a few dollars by helping out. It was great fun — getting to drive tractors, trucks, and farm bikes was a real buzz, and a lot more fun than the old Raleigh 10-speed. The farmer had just purchased a new HQ Holden — actually, it wasn’t too dissimilar to the one I had seen at the show some months earlier. As is the case with most farmers, machinery of any description is to be used — and abused — to the limit, not hidden away in a shed somewhere gathering chook droppings, and the shiny new HQ was no exception. It was used to cart everything from the weekly shopping to hay bales, dogs, young calves, and literally anything else that could be squeezed in it. I recall seeing it buried deep into a hedge one day with only the tail lights faintly visible through the branches, and when I asked what had happened, I was told that it was parked there to fill the hole in the hedge to stop the cows from escaping onto the road. I remember thinking to myself how tough these Aussie cars must be built to withstand such abuse, which it was for many years, without ever missing a beat. 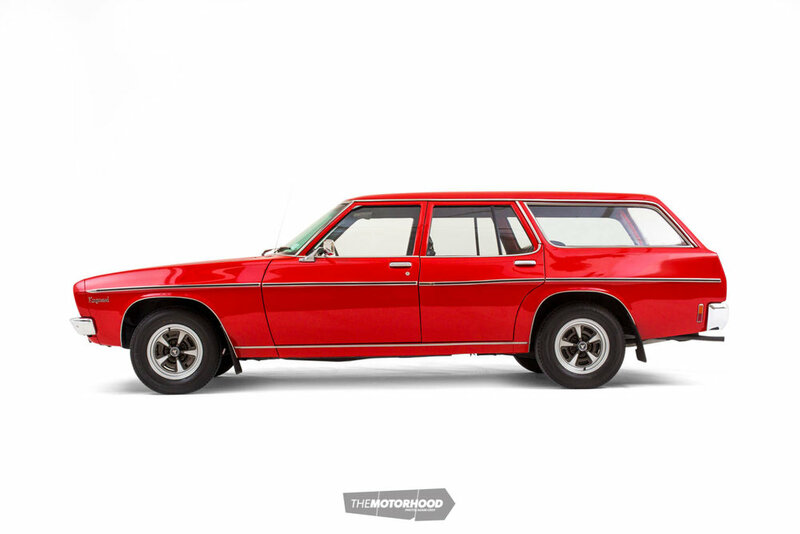 The owner of our featured HQ Holden Kingswood station wagon, Mike Richards, is a dedicated fan of the marque. He is a current and active member of the Early Holden Club of Auckland, and has owned several Holdens over the years. 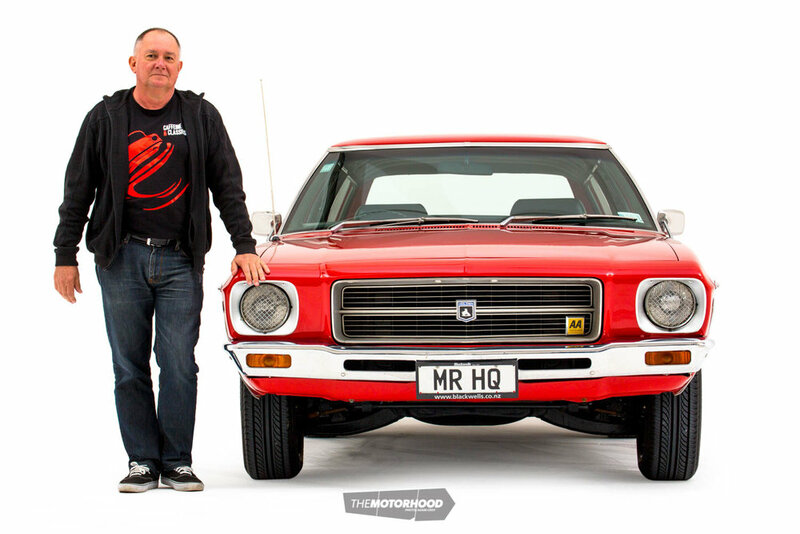 Most of these cars were used as daily-drivers — some that stand out are his first Holden, which was a 1971 HG 186 Kingswood ute that he brought back in 1975, a 1964 EH 179 Special, and a sporty 1971 HQ 308 Monaro LS. Mike has also been a proud member of AA since 1973, and the badge on the front of his HQ has been carried over several vehicles over the years. Mike’s wife, Cheryl, and two sons have also owned several Holdens as daily transport — Holdens have definitely been a family affair. Five years ago, Mike was back in the market for another Holden and discovered what appeared to be a very nice HQ Kingswood station wagon on a local auction site. As the car was in Christchurch, Mike asked a good friend to inspect the car for him, and, despite the fact that it was actually quite scruffy, Mike decided to proceed with the purchase based on the fact that it was unmolested and virtually rust-free. The Australian-assembled 1974 Kingswood wagon was originally sold new in Christchurch by Blackwell Motors and purchased new by the previous owner. Optional extras included bucket seats, a T-bar auto, power steer, an electric tailgate, a tri-gauge instrument panel, and a clock. Further investigation revealed that the car had been sitting in a shed for several years and had had very little use during that time. Also, during the two Christchurch earthquakes, the wagon had had several items, which were stored in the shed, fall down on it, leaving some minor dents in the panel work. Most of the paint on the wagon was original but very tired, and, considering the minor panel damage, paint condition, and a small amount of rust in the tailgate, Mike decided to carry out a restoration of the exterior to bring the car back to its former glory. Mike began by completely stripping exterior of the car, including the glass, bumpers, lights, grille, and anything else that could be unbolted and removed. The original colour was sourced (Salamanca Red), plus a new-old-stock tailgate skin from a member of the Early Holden Club of Auckland, and, after much convincing, a close family relative was entrusted with the panel and paint job. 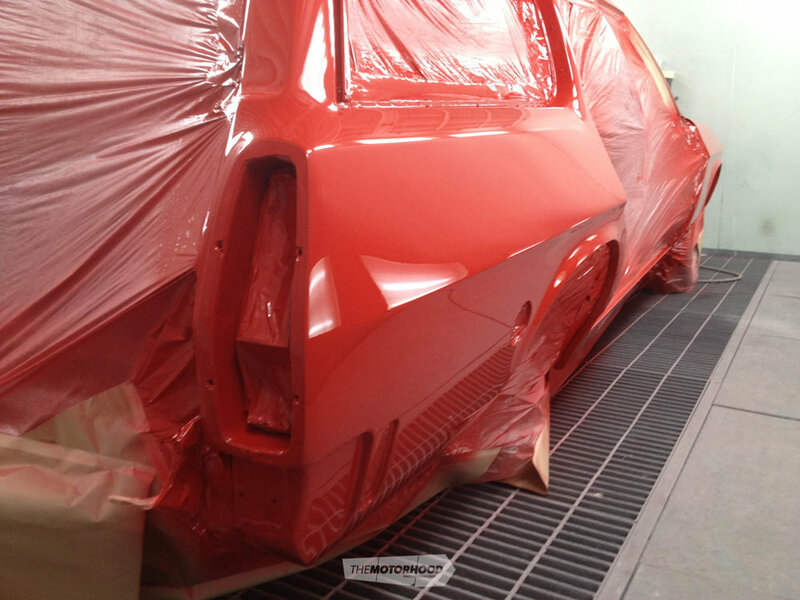 Choosing the ideal person to carry out the work was a no-brainer for Mike, as his nephew, Daniel, had carried out a similar restoration on one of his previous vehicles, a 1964 EH Holden 179 Special sedan. The interior of the wagon was pretty much as you see it now. The only task for Mike was to repair the driver’s seat and add some new carpet to finish off the wagon’s tidy interior. Finally, the car was ready for reassembly. It was very important for Mike to keep the wagon as standard as possible, only adding a modern stereo and alarm system, plus about 15 litres of rust-proofing wax. 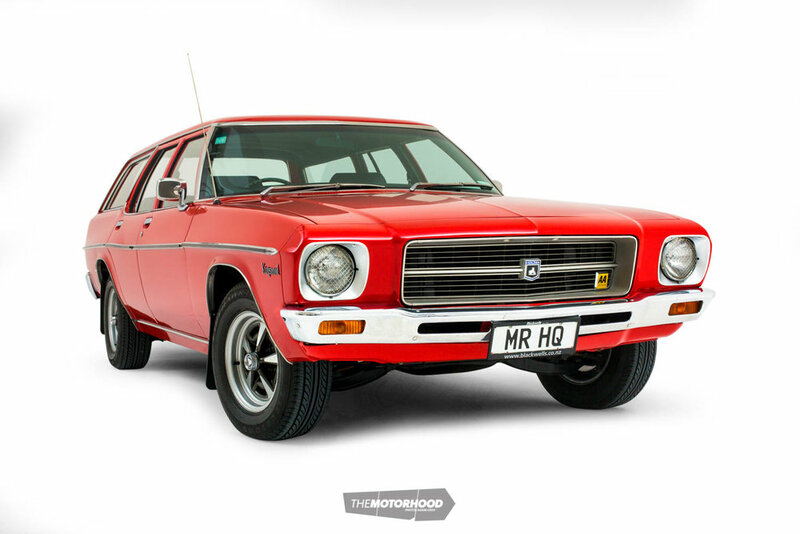 The car was originally fitted with Kingswood hubcaps and wheel trims, but Mike decided to fit a set of period-correct Holden HQ optional Sport wheels and new tyres, adding to that classic ’70s look. Mike still has the original wheels and trims. After driving the wagon for about three years, Mike decided to tackle the drivetrain. The 3.3-litre (202ci) six-cylinder engine was removed and completely stripped down and checked. Decades of wear and tear meant the block had to be rebored and the crankshaft ground. As the heads were in fairly bad shape, they were crack-tested and surfaced, while new valves and stem inserts were fitted. The fibre timing gear was replaced with a JP timing gear set-up for added reliability. 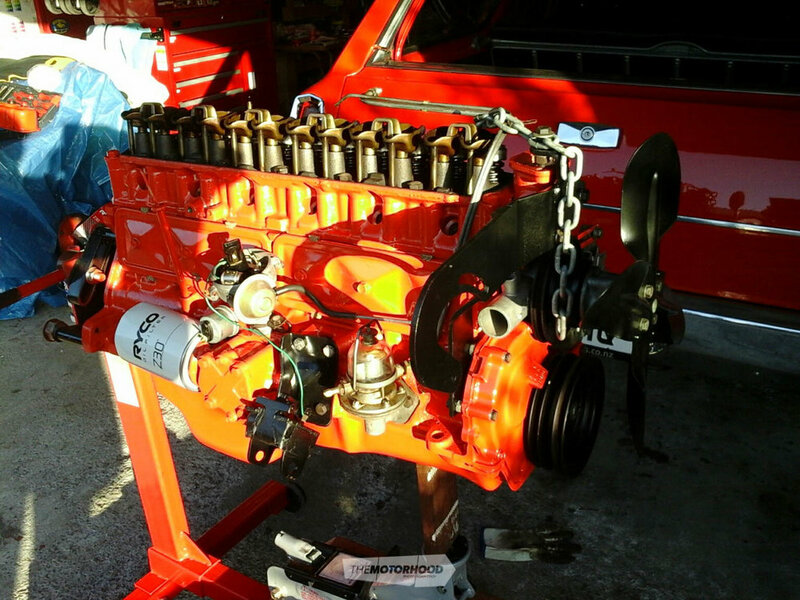 In addition, the stock Bendix-Stromberg carburettor was completely reconditioned and a new water pump, oil pump, Bosch alternator, and starter motor were fitted. 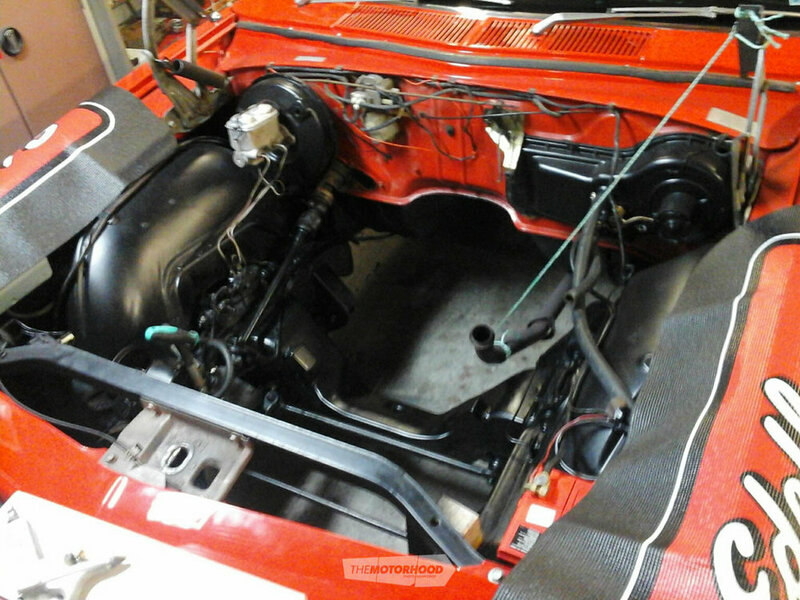 The original intake and exhaust manifold were also cleaned and refitted, along with a new three-core radiator, replacing the tired two-core unit for additional cooling capacity. This was also a good time to treat the Tri-Matic transmission to some much needed TLC, and it was sent the experts at The Gearbox Factory in Henderson for a complete overhaul. Mike also decided to have the driveshaft balanced and fitted new universal joints, while the differential head was sent to Steelie Gears for a set of new bearings. The brake calipers and booster were reconditioned, and a new set of wheel bearings was also fitted. Since completion, Mike reckons the HQ is still an ongoing project, despite it looking ready for concours, as he still has a few minor jobs to finish off. He very much relishes any opportunity to get the wagon out of the garage whenever possible to attend club runs, and is a regular visitor to Caffeine and Classics at Smales Farm in Auckland on the last Sunday of each month.